SEO is the process of improving the search visibility of a website so it appears at top of search results for specific key words or phrases. Search engines (ie. Google) use algorithms to determine which sites are the most on topic. These "organic" natural search results differ from paid advertising in that once at the top of the list you get a lot more visitors in comparison. The higher up on the search results list the site is the higher the click-thru-rate (CTR) is. See Search Engine Click Thru Rates. Search Result Frequency is also an important factor. The more often a particular website and its sub-pages show up in the search results, the bigger share of visitors the website will get. The process of Search Engine Optimization is not for beginners. It is a highly complex list of do's and don'ts that combine content, keywords, links, labels, titles, headings and so forth. See The SEO Checklist to see how complicated it is. It is recommended that beginners / serious companies hire a professional Search Engine Optimization company to handle their SEO needs. There are forms of online marketing (pay per click advertising / Search Engine Marketing [SEM]) that people can also use, but again this may require much trial and error for a person to learn how to maximize its potential for their budget. Hiring a professional is certainly beneficial. When a particular website or business is oriented towards a specific location (ie. 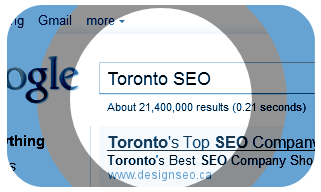 Toronto, Canada) it helps pinpoint the Search Engine Optimization towards local audiences. The same concept can also be used when promoting websites which are more content oriented, like art/photography websites, music websites, video/film websites, academic websites, news and industry specific websites. ie. It is significantly less efficient to promote your real estate website via SEO which is not real estate oriented. Sadly many SEO amateurs will use practically any website at their disposal, even if it is off topic for what they are trying to promote. For example "link exchanges" are practically useless for SEO because they are not only off topic, but because link pages (aka link farms) are also less useful. Optimizing a website is the most important part of making a website popular. To do this we recommend using Search Engine Friendly Website Design. Within that process quality original content is the biggest contributor, but knowing how to use and promote that content is equally important. Quality content in isolation is useless. Some SEO amateurs like to stoop to cheating to get higher PageRanks or faster results. These techniques often get caught and noticed by Google and could result in the website in question being banned. 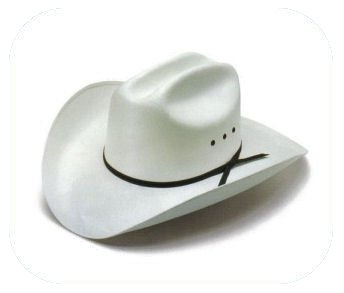 At designSEO.ca we use onlyWhite Hat techniques and our goal is to produce quality content with pinpointed results so you get the best possible results with no detrimental damage to your website's reputation. Some SEO amateurs will claim that Black Hat techniques are okay so long as you don't get caught. But why take that risk? In a battle between Superman and Lex Luthor its probably a lot safer to pick the good guy because they eventually win in the end. When hiring SEO companies people always want to know how much is this going to cost. Sometimes they will even hire a SEO consultant to determine what their best course of action is. We offer both, consultancy and service. Our consulting rate is $30 per hour. If you are looking to hire a website optimization company we can meet with you and waive our consulting fee for the first half hour. Or you can treat us to lunch somewhere in downtown Toronto. During such a meeting with one of our SEO consultants you can get a quote or set a budget for a proposed SEO project, discuss the details, expectations and goal timelines. We should warn you that SEO is not something that happens overnight (Google only updates PageRanks every 6 months or so) so specific goals like a higher PageRank will require patience. As per The SEO Checklist it is recommended clients go for lengthy time commitments to get the best results. As such when contracting our services it is a minimum year long commitment on our part and we GUARANTEE results by the end of the year. One way to do SEO would be to raise your Google PageRank. You would make a deposit and we would work towards getting your PageRank up to the desired rank by the end of the year. Since Google currently updates PageRanks only twice per year a certain amount of patience is required. Note - Technically Google doesn't make PageRank public any more, but the system of factors used to achieve PageRank is still an integral part of Google's current search ranking algorithms, even if PageRank itself is no longer publicly accessible. Older websites still have their PageRanks they had years earlier, but new websites effectively have their PageRanks hidden. Once you get up to PageRank 5 that is par with "celebrity status". ie. michaeljackson.com is PageRank 5. Some sites will never reach such levels because they just don't have the content to support such a ranking, regardless of how much money you might want to throw at it. When we take you on as a client we will warn you in advance that your site's best bet is PageRank 3 or 4. Aiming for PageRank 5 is only if we know your site has the potential to reach it and just needs to get the ball rolling. The higher the PageRank the more visible and more popular it is. However it takes a lot more time and effort, as each rank is exponentially higher than the previous rank by approximately a factor of 5. See the PageRank Chart on the above right. Another way to do SEO is to only worry about key search phrases. This is arguably the best route. Start with one or two phrases and then create links to your website using those phrases, ie. "Toronto Bicycle Mechanic". Then Google those words a week later and see where your website is on the list. Ideally you want the #1 spot at the top of the list because it has the best Click-Thru-Rate. The links should all be made according to the SEO Checklist, done using White Hat SEO, and if at first you don't get into the top 10 spots keep trying. Depending on the competitiveness of a particular topic (ie. real estate, car sales, computers, lawyer services, etc.) it could be much more difficult to get to the top spot. This should not discourage you from trying however because the more competitive a topic is the more popular it is. When going the Search phrases or keywords route you will need to set a budget on how much you want to spend. After 2 - 4 weeks we check our results and see how high on the ranking you are. If your site is now #1 the thing to do then is to promote a sub-page on your website for a different set of keywords for a similar service you offer. If it is not it simply means the topic is very competitive and you may need to give it more time and effort. If you have any questions or want to book a meeting please email us by clicking the email icon below.